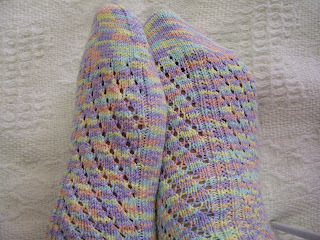 I have looked at lots of patterns suitable to knit painted style socks. I gave up and designed my own. This is Panda Cotton- Dreamy.